In any event, I need to up my game. As we’ve established, alcohol is only permitted one day a week, and this week, I’ve decided to choose alcohol on Saturday for a variety of reasons not just because my mother is visiting for a few days. 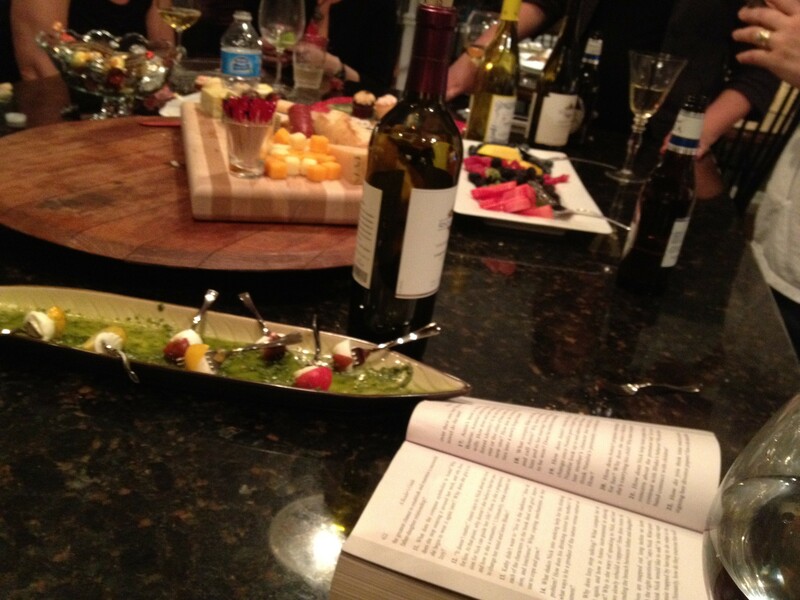 That meant that last night I got to experience book club in a new and exciting way for the first time ever. I believe the word I’m looking for is “sobriety.” It was so weird, like I was in another country and couldn’t quite grasp the nuances of the foreign language they were speaking. I could understand everyone, but I couldn’t really understand everyone, if you know what I’m saying. But fortunately for me, my book club is comprised of smart, funny, interesting women who don’t require the consumption of alcohol in order to be appreciated…although I won’t lie — everything is more fun after a few glasses of wine. I did, however, use my weekly allotted “meal off” so I could enjoy all the fabulous food. And enjoy it I did! My friend Amy always goes above and beyond in providing book club goodies, and there was NO WAY I was going to miss out on that. I was so excited that she made our friend Lauren’s famous spinach and artichoke dip. I secretly suspect that Lauren is a Helllmann’s mayonnaise heiress, because whenever you ask her about her recipes, she insists that you only make it with real Hellmann’s mayonnaise. The only change I made was using fresh baby spinach instead of frozen spinach (too mushy and too hard to fully drain, in my opinion) because I think that works out better. Yes, I realize artichoke dips are a dime a dozen, especially at book clubs, but this the best one I ever had. This entry was posted in Appetizers, Life and tagged book club food, Dieting, spinach artichoke dip by Mom Mom's Apron. Bookmark the permalink.